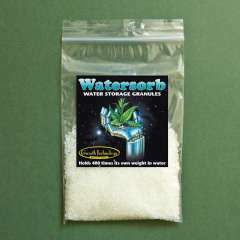 Water absorbent granules, to be added to soil in pots for retention of water over dry periods. This product is of particular value in the base of hanging baskets in initial planting. Highly effective outdoors.